I really love it when I see hotels thinking of great ways to engage with customers and to help them experience what’s right on their doorstep during their stay. A hotel is always best placed to know all of the unique things to do in and around the properties location, but sometimes spreading this message is the tricky part. As a hotel, when you do undertake this activity it’s also important to consider your clientèle – recommending a night at the local Bingo when your running a five star boutique hotel is not going to help anyone. 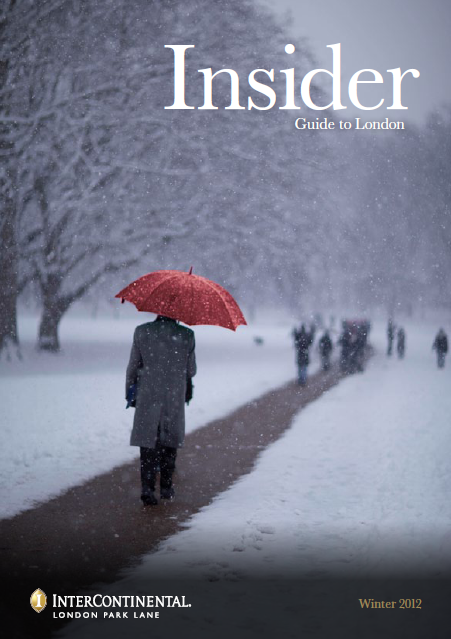 So when I discovered a lovely “Insiders Guide” that’s produced by the team at the InterContinental Park Lane I was really impressed to see just how well they’ve managed to capture London life and produce a quality publication full of ideas reflective of the strong InterContinental brand. I received the latest publication this week, and it’s a really excellent example of marketing activity. The Insider Guide to London is the winter edition of this well produced magazine and captures the hotels target market perfectly. Now in its fourth edition, the Insider offers valuable insight into how readers and guests alike can Live an InterContinental Life here in the capital, highlighting some of the best activities in town as well as looking forward to 2013. This Insider includes a special shopping guide to the East End curated by city experts Urban Gentry and a round-up of the most sought after gifts from Ed Burstell, Managing Director of Liberty. Top UK Food Futurologist Dr Morgaine Gaye predicts trends for 2013 while our resident experts share current cocktail ideas, top seasonal recipes and the best of what’s on in London a local perspective. The edition also features a trip to Bank Farm in Kent, to see where much of our produce is sourced and enjoy a tour of London’s top microbreweries. Importantly, the publication also adds a personal touch, introducing members of the Park Lane team, giving their own insights into London life. To promote the publication, the InterContinental Park Lane has also created additional collateral, such as an insert which is given to guests when they receive their bill in one of our outlets, with key dates, pricing and information on our offerings which also works as a mini Insider guide. Of course, this may be a very traditional publication in physical print, but the hotel recognise that guests will want to read this in their own time and in their own way, so they have also supported the launch of the Insider through dedicated social media campaigns on Facebook, Twitter and Pinterest. Ed Prunell, Area Director of Marketing for London commented “A key priority of InterContinental London Park Lane is to enrich our guests’ experience and help international visitors, and those closer to home, see a new side of London. The Insider is an extension of our expert Concierge team and reflects our location at No.1 Park Lane, which place us perfectly to share our expertise of the city”. I really love this publication and am really impressed with the high quality production and features, perfect for InterContinental guests. To take a look for yourself, you can access the Facebook edition by clicking below. I was impressed to learn that representation and distribution solutions company TravelClick have won an incredible total of 63 awards for website design in hotel and lodging categories from the IMA Awards, WebAwards,W3 Awards and Adrian Awards in 2012 – more than any other website development company specializing in the hotel industry. This seems a very impressive number and something I wanted to share with you for when you’re looking for inspiration or ideas on who to talk to when contemplating how to optimise your hotels website. TravelClick are one of the leading provider of revenue generating solutions for hoteliers and offer hotels reservation solutions, business intelligence products and media and marketing solutions to help hotels grow their business and are currently helping around 30,000 hotel clients in over 140 countries. I’ve listed the full award winning websites below – there are some great examples and I hope you find this a useful reference point to check out some inspiration and different ways of designing your hotel website. As you may have seen from some of my tweets yesterday, I attended the launch of Preferred Hotel Group’s brand new programme “Preferred Family” which was hosted at the stunning Edwardian Chancery Court hotel in London, part of Preferred’s collection. Also attending where the General Managers of The Royal Horseguards and The Hempel – both properties that before today would not spring to mind as young child friendly – this intrigued me even more. So no prizes for guessing what a Preferred Family programme might be, but actually, Preferred Hotel Group have really take the concept a stage further and created an innovative and engaging concept. They’ve thought about this from both a child and parents point of view and improved their offering to ensure everyone gets something out of this.I’ll show you how. 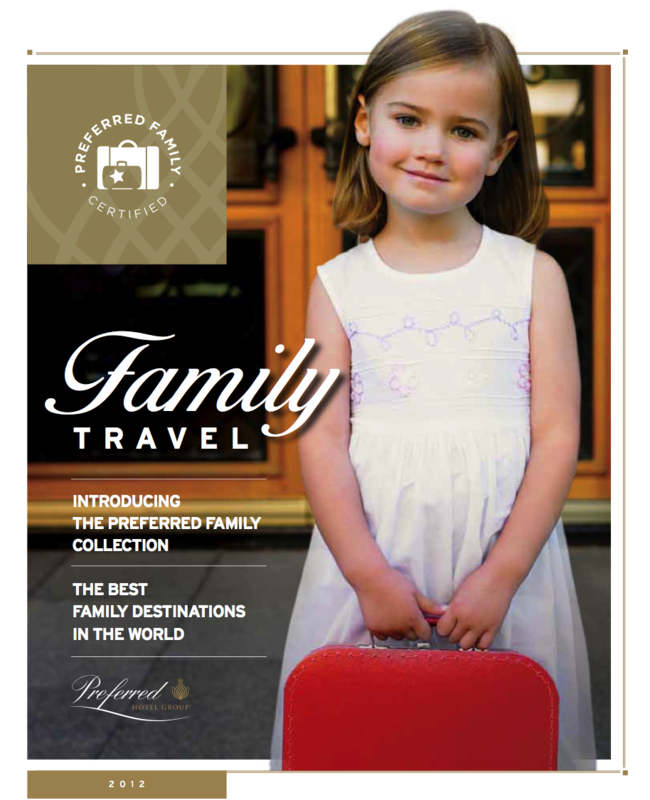 Preferred Hotel Group are a leading provider of sales and marketing services to independent hotels around the world – The Preferred Family collection features a broad range of global experiences designed to enrich and enhance family travel. Each hotel, resort and retreat of Preferred Hotel Group provides personalised service, unique experiences and memorable activities for families. This new programme is recognisable from its new certified logo and really puts this certification programme into action along with an online resource and search engine for families in and outside of the UK designed to highlight specific amenities and unique activities. So, add a new logo to your website and job done? Nope. Not this time. So often I see nothing new developed by hotels other than to start advertising how child friendly they are (tour operators are especially guilty of this in the UK). There’s also no point in creating a new programme and not allow it to be fully searchable on your website – no one will find it. But Preferred Hotel Group are working with their hotel properties to develop engaging concepts and activity for their younger guests. For instance, book a Preferred Family Certified hotel and the little one gets a delightful little suitcase style bag complete with teddy bear, disposable camera and mini passport so they can truly be a part of discovering the great destination. They have also designed rather cute mini bath robes for the younger guests and the hotels that are part of the collection have a strict criteria to meet to be included, meaning they have to show how they will make the stay all the more special. This is a really interesting concept. What we are seeing is that family travel is gaining more and more importance. This is a changing market and in general, the economic climate means that people are really valuing and super researching their travel, more so than ever before. If I was a previous lover of Preferred Hotel Groups properties, having children may make me think that these incredible hotels may not be the perfect fit for my new family shape. 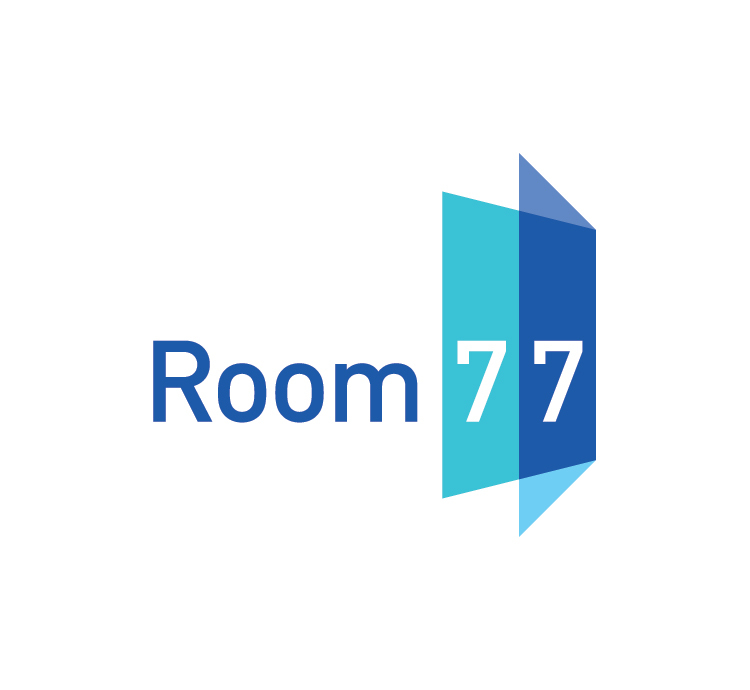 However the properties are sowing great innovation to make sure that no mater how your family changes, they have the right package for you all to enjoy their hotel. 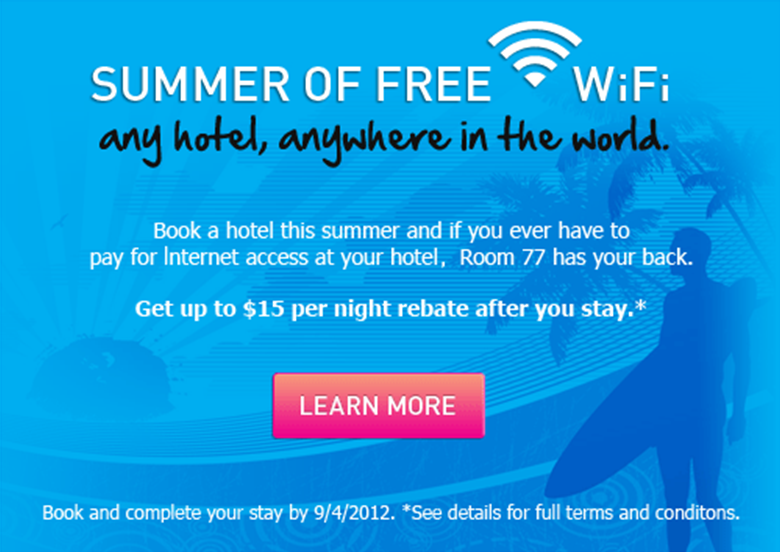 They value every guests – the paying parents and the children and want to make everyone welcome. In your hotel, there are very simple things you can do to recognise all of your guests, no matter how small. It’s these little touches that will prove how diverse and welcoming you can be. There were lots of great examples of such adaptations and ideas from the general managers in the room yesterday, but I particularly liked one activity from The Royal Horseguards hotel. Most top end London hotels put on a great afternoon tea and the popularity of such events continues to rise. At this hotel, they’ve taken this on board and designed the perfect family afternoon tea. Head Pastry Chef Joanne Todd has handcrafted a “Mini-Tea” which comes complete with colouring in activities. The hotel has really innovated their menu to incorporate younger guests and has put a twist on the usual afternoon tea offerings – this rather tasty menu consists of sparkly fairy cakes, traffic light fruit kebab, milk chocolate dinosaurs, alphabet wholeweat shortbread and white chocolate and raspberry puzzle – and of course a delicious rainbow smoothie. I don’t know about you, but I think I’d prefer this afternoon team myself! So, once you’ve developed a great concept, then what? Add a badge to your website and that’s it? Of course not, and Preferred Hotel Group have created a dedicated brand website for their collection. But, they do a great job of recognising that every family is different, in terms of taste, age range and ideas of what they want from a hotel stay. One thing I find very uninspiring about online travel (and I write about this a lot) is enjoying finding my dream hotel/holiday. 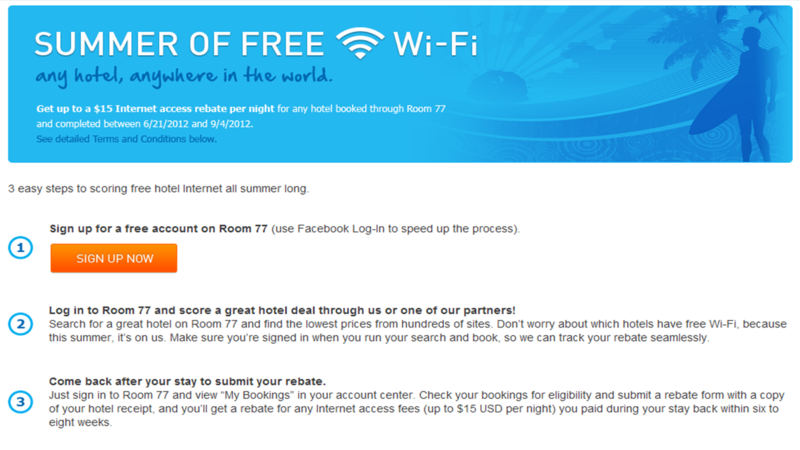 I find search forms far too broad and I end up scrolling through pages and pages of hotels that all look the same. 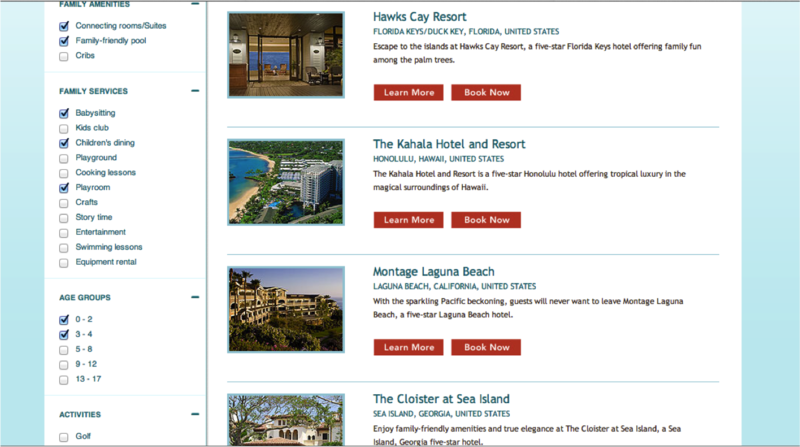 I was really pleased to see that Preferred Hotel Group thought about this and instead of directly copying content from their main site, they added new search criteria and information to their pages. For example, very detailed age brackets and interests. Simply start searching and narrow your key criteria and your results list will dynamically change before your eyes. Much easier, wouldn’t you say? I really think that this programme will be a great success – built on a strong family principle and understanding by the companies owners and delivered into a programme to not only attract new business, but retain their existing and changing customer base too. I found this great infographic this evening, recently published by CopyPress. Take a look, it really does represent social content online very well. I’ve been waiting for a few months now to discover a hotel being really proactive in their Pinterest use, and using the latest social platform to interact with guests in a unique and initiative way. My wait is now over and I’ve found a great example – and it’s congratulations to The Athenaeum Hotel in London with this fun and interactive campaign, based around one of the big London events. On 19th May The Athenaeum Hotel will launch an ‘Urban Gardens’ Pinterest competition that will run until the end of ‘Chelsea Fringe’ – the new ‘festival of flora’ which aims to spread some of the excitement and energy around gardens and gardening in the run up to RHS Chelsea Flower Show. The creator of the winning ‘mood board’ will be awarded Evergreen Tea for two at The Athenaeum. As London starts to turn green in the run up to RHS Chelsea Flower Show, tourists and locals will once again witness giant floral displays and visual tributes to the annual horticultural show appearing around the capital. Installations, events and experiences, exhibits, talks and walks will also take place thanks to ‘Chelsea Fringe’ – a new initiative that will run alongside the historic show. The Athenaeum Hotel, who’s Living Wall was installed three years ago in conjunction with RHS Chelsea Flower Show, would like to encourage users of Pinterest to capture this activity and to ‘pin’ the best horticultural happenings for all the world to see! The Athenaeum Hotel will upload it’s own set of images on to Pinterest to help inspire participants and will ask entrants to tweet their boards with the hashtag#AthenaeumUrbanGardensCompetition. The hotel’s General Manager Simon Wakefield will select the mood board that he feels best portrays the transformation of London and the creator will be sent a voucher for the award-winning Evergreen Tea for two people at The Athenaeum. The Living Wall at the athenaeum is a unique architectural landmark that has transformed the streetscape of Piccadilly; the outdoor living tapestry represents a fusion of the hotel with its Royal Parks environment – bringing the outside in. Three years after it was installed it is in full bloom and has become a valuable shelter for biodiversity. Highlighting the hotel’s participation in making London a greener place, it adds nature to the daily life of not only hotel guests but of London’s residents alike. A lot of hotels have started to use Pinterest, but mainly to load their photos of the property onto the Pinboard – some of the efforts I’ve seen tend to tick a box to say “we’re on Pinterest” rather than be a true interactive contribution. This is the first intuitive and interactive hotel promotion using Pinterest I’ve seen and it will be interesting to see how popular the campaign is. Okay, so I am already a big fan of The Terrace, a fantastic outdoor space at the rear of the Jumeirah Lowndes in London. I don’t know about you, but when you’re in a big city like London, there are very few quality venues to sit outside in the relative quiet and enjoy an ice cold drink and some quality BBQ food – Jumeirah Lowndes provide an incredibly relaxed experience at their Terrace venue and it’s well worth checking out (take a look at last year’s post on their BBQ master-class). It really is a hidden gem in trendy Belgravia. So this would quite clearly make the perfect venue for a special celebration, and that’s exactly what Jumeirah have planned. On 3rd June, The Terrace is partaking in the nationwide ‘Big Jubilee Lunch’ initiative and inviting guests to join them in celebration of the Diamond Jubilee. 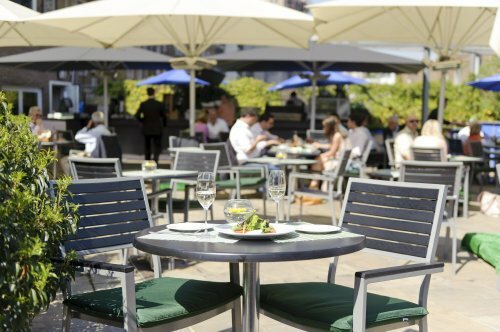 Guests can feast on a three-course al fresco meal for a set price of £19.52 to celebrate the year of the Queen’s ascension to the throne. As announced by Buckingham Palace, the ‘Big Jubilee Lunch’ will be a part of the main programme of events over the central weekend of Diamond Jubilee celebrations in June. 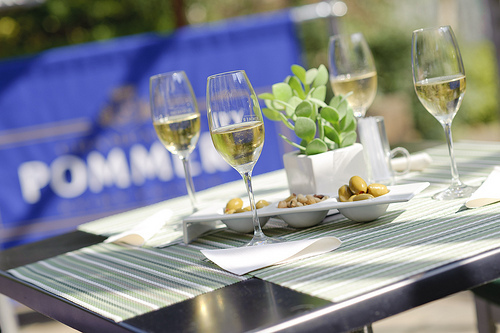 To get your taste buds going (and maybe to book your place too! ), the menu incorporate many British classics: To start, Scottish oak smoked salmon or green pea soup followed by traditional English mains – steak and kidney pudding with garden vegetables or London Pride battered haddock and chips. For pudding, sweet enthusiasts can indulge on either gooseberry crumble with vanilla bean custard or strawberry pavlova with wild berry coulis.